At National Gallery of Indonesia. to create an impression of 3D figure seen in perspective. In my work I expressed aesthetically my vision of the functional architecture of the DNA. 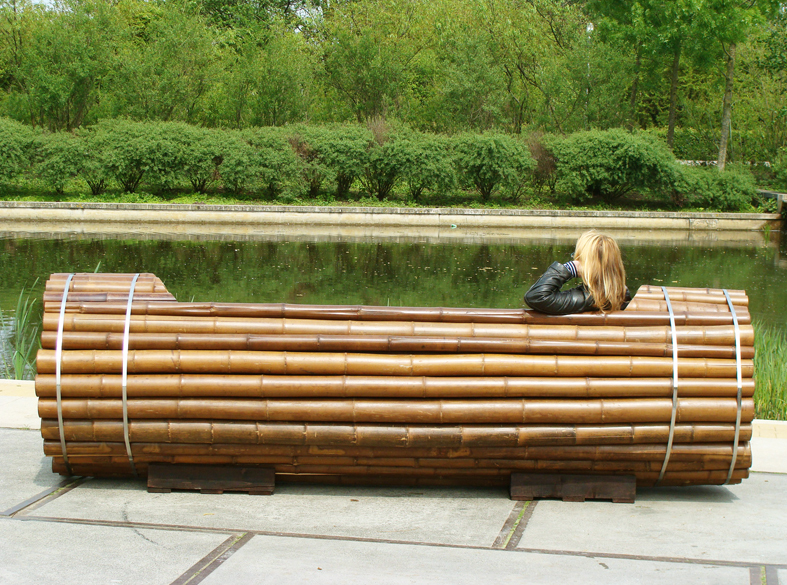 Dimension of installation is 2250 cm x 1700 cm. Project supported by Dutch Embassy in Indonesia. 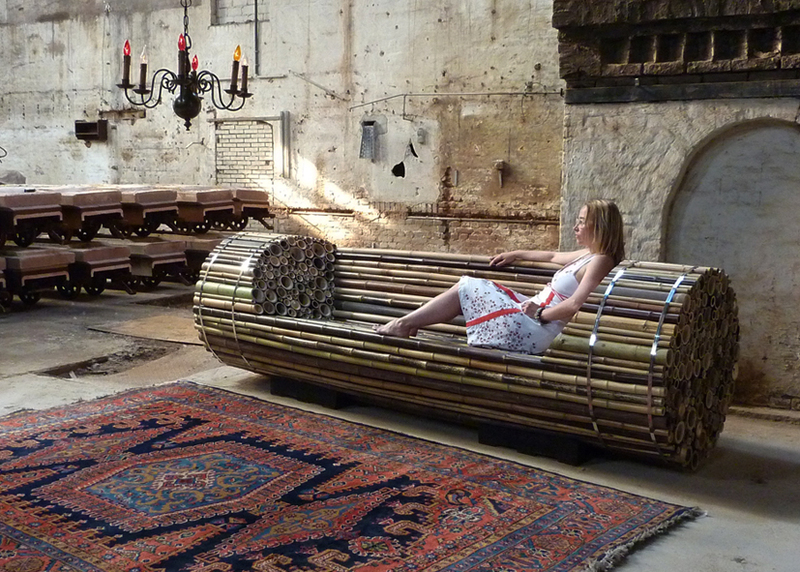 Specifically designed for LIBAF (Lombok International Bamboo Architectural Festival), Indonesia. 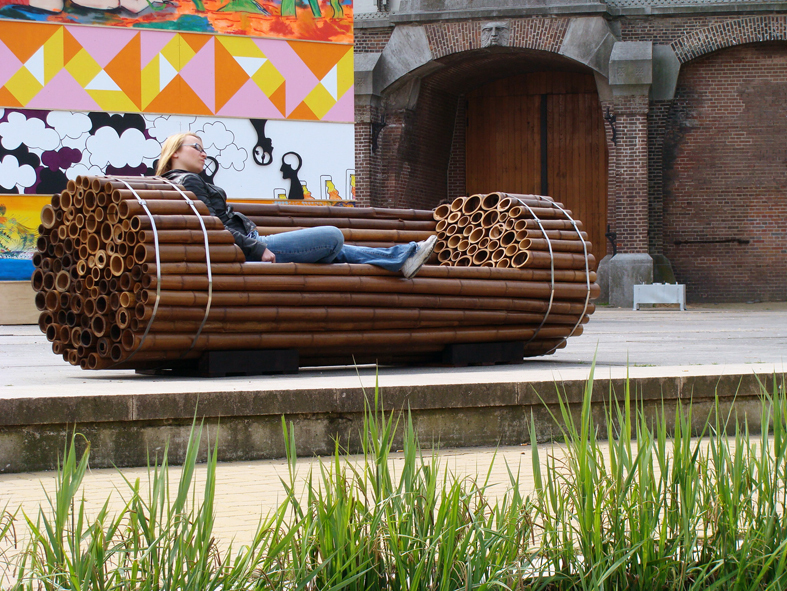 This spatial installation translates the movement of water into a wave passage. 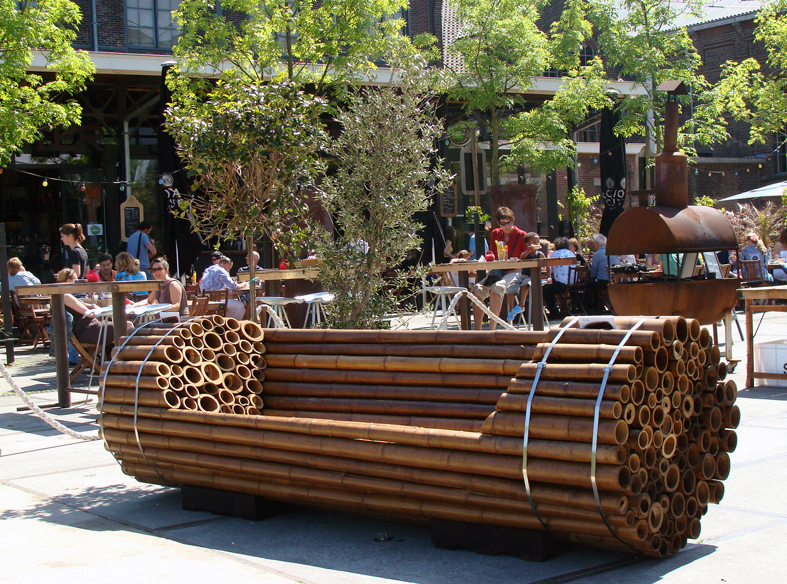 Material: bamboo slats, re-used bicycle tubes from Amsterdam and Lombok. The project Pile Isle Reloaded went a step further. 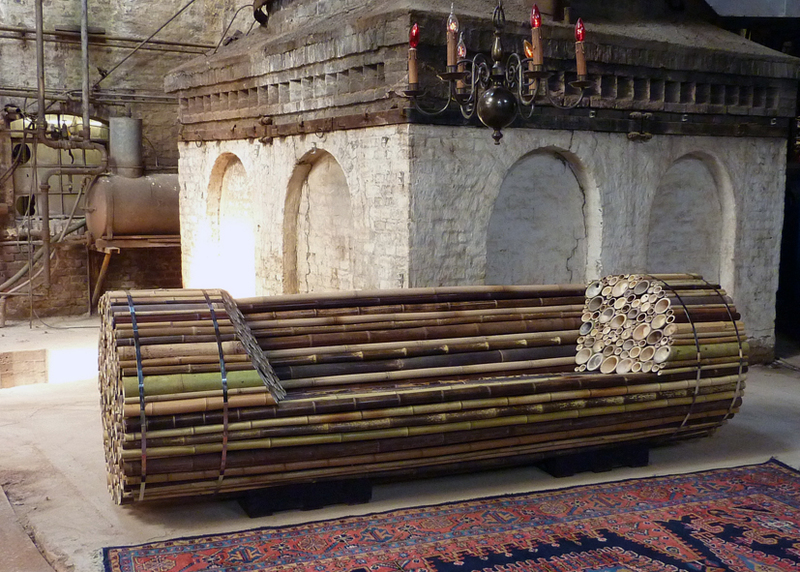 10 different types of bamboo from Colombia, China and Indonesia were combined. 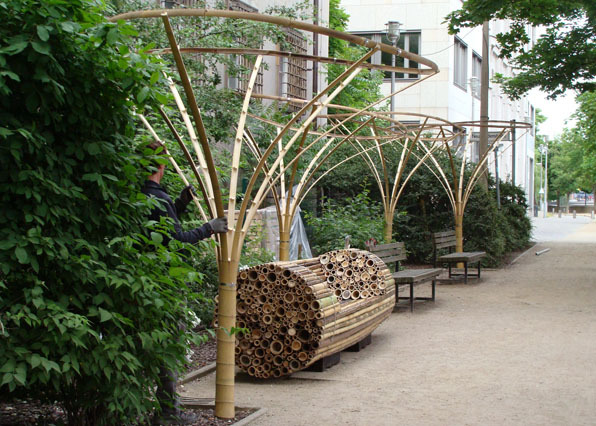 The result is a fine and vivid pattern due to the various colors and diameters of the bamboos. 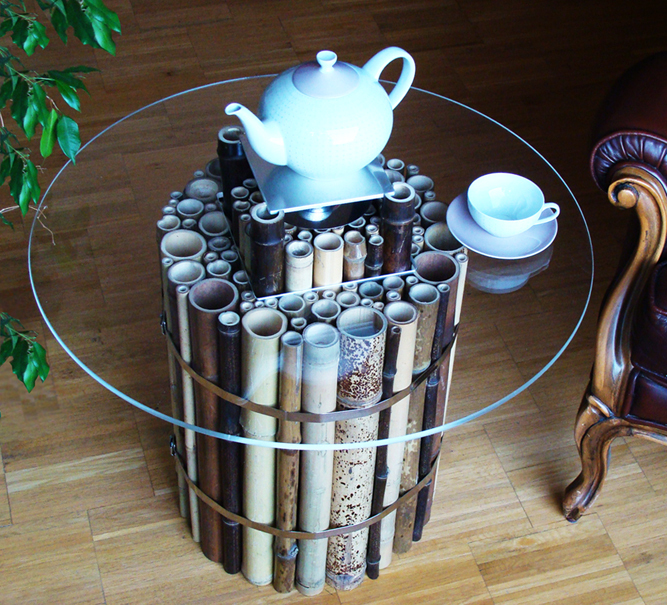 The design of this table alludes to a warm and intimate aspect of the social eating culture in China that still resist the quickening pace of technological change. A miniature fire source that could be placed in a middle of the table awakens the time-honored tradition of gathering around the source of light and warmth that attracts and, as it were, enchants the party around it. 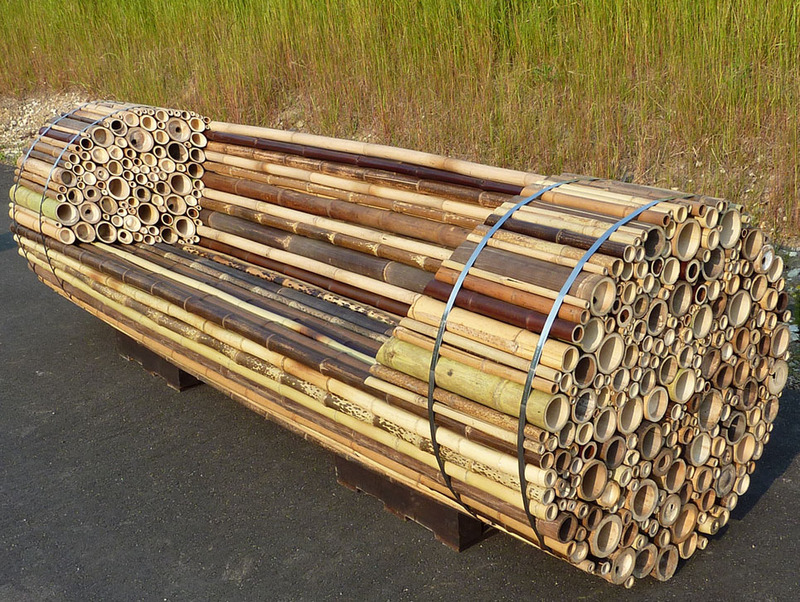 The base of the table consists of a pile of bamboo poles in a variety of different sizes and colors held together by metal belts, which eliminate the need for any screw or glue. 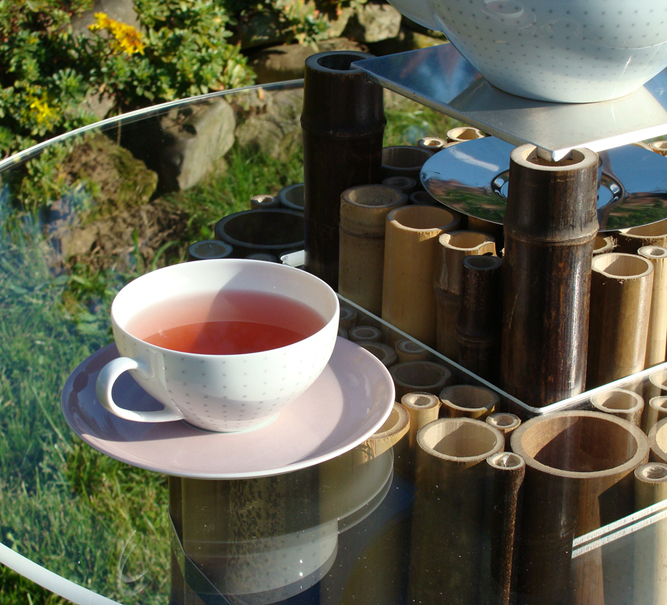 The horizontal cut of the bamboo base that becomes visible under the table glass, reveals naturally beautiful and visually appealing organic pattern. 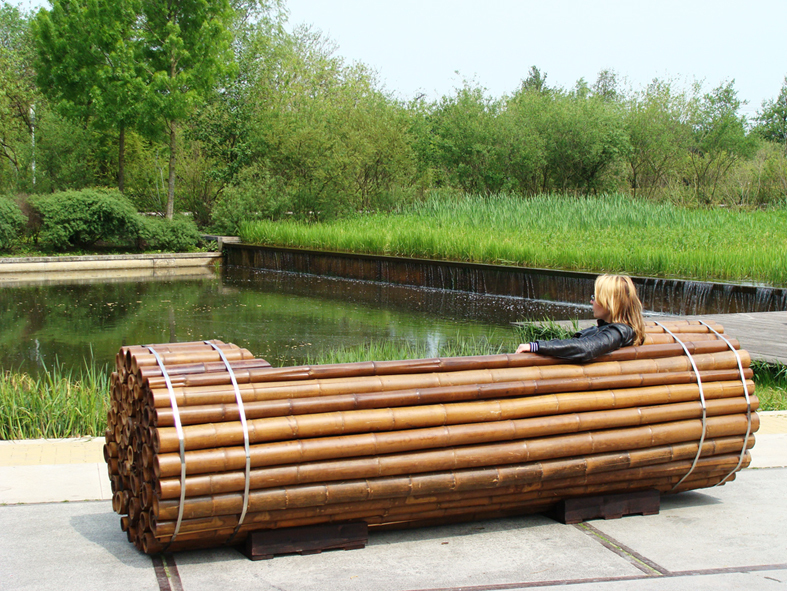 The bamboo bench “Pile Isle” by Elena Goray and Christoph Tönges is a beautiful spot for relaxation. 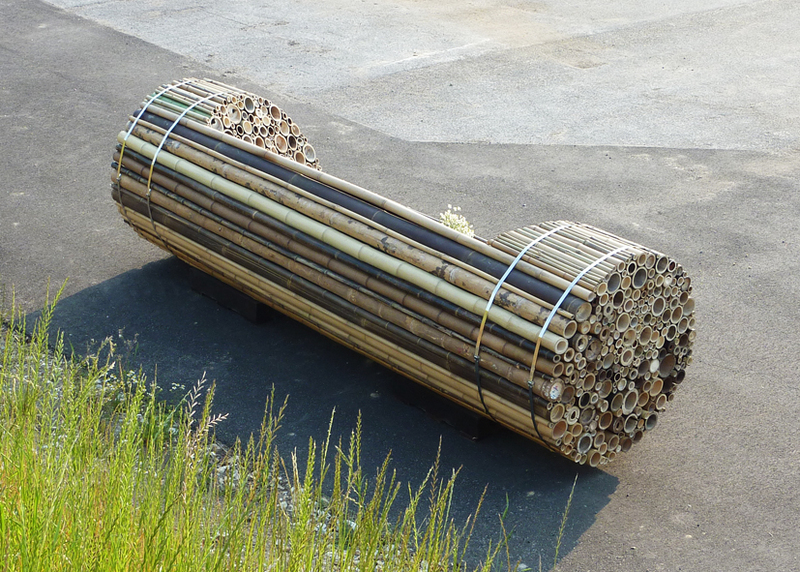 A bundle of brown bamboo poles is strapped together in smart and simple way. Just 4 belts of stainless steel are keeping the shape – no screw and no glue is necessary! of the surface structures to the surface of organic skin. The sculptural elements in her works are rendered unexpectedly affective. SOFttILES (2009) are porcelain tiles inspired by the pattern of Chesterfield Chair. exuding such a warmth that onlookers feel the irresistible urge to touch it.